Pulling off a comic book adaptation is tricky. You have to nail a lot of different aspects to please the OG fans who are going to double-examine every single detail. Which means everything is important, from the casting down to the costumes. Yesterday's release of Captain America: The First Avenger and today's commencement of Comic-Con San Diego got us thinking about how we feel about Chris Evans' suit and 24 other costumes from superhero movies. Some good, some bad, all memorable. 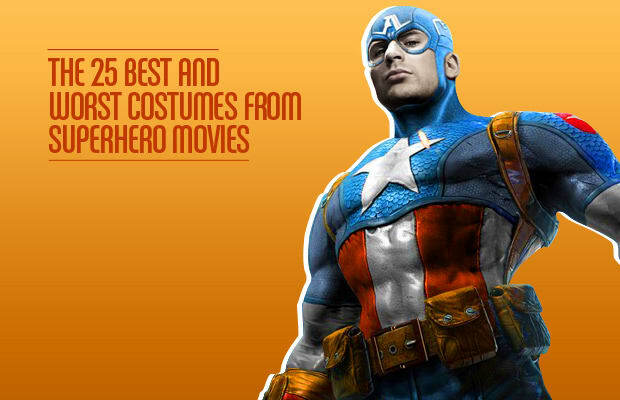 Check out our gallery of The 25 Best and Worst Costumes from Superhero Movies.